Prior to the premiere, founding members John Paul Jones, Jimmy Page, and Robert Plant will be joined by Jason Bonham, the son of their late drummer John Bonham, for a press conference at New York’s Museum of Modern Art. 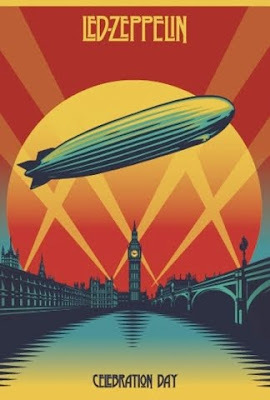 Led Zeppelin took the stage at London’s O2 Arena on December 10, 2007 to headline a tribute concert for dear friend and Atlantic Records founder Ahmet Ertegun. What followed was a two-hour-plus tour de force of the band’s signature blues-infused rock ’n’ roll that instantly became part of the legend of Led Zeppelin. “Celebration Day” will see a worldwide theatrical release on 1,500 screens in over 40 territories on October 17 before it goes on sale November 19.